This is a very common Cuban dish. It could possibly be considered the national dish of Cuba. It is not to be confused with "Congri" which uses red beans. 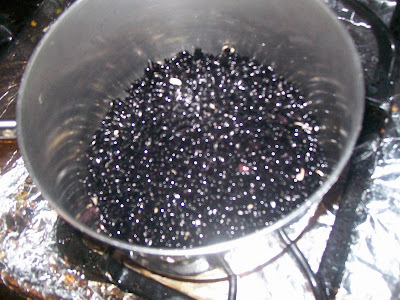 (1)Wash beans well and boil in water enough to have enough liquid to cook rice later. Approximately 5 cups water or more. Bring to a boil and simmer covered or about 1 hour no more. (Don't cook the beans to a moosh or it will RUIN the dish it will make it to starchy so don't even soak beans over night) turn of. (2)Put rice on a strainer and sift it to get rid of any small pieces then wash well. 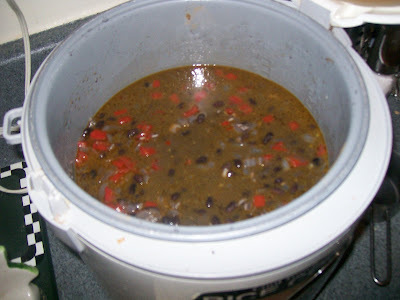 (3)Put 2 rice cups in the rice cooker and add 3 cups of black bean broth and then drain the rest of the beans and add. 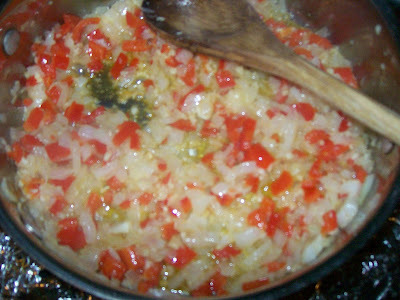 (4)Sautee onion and bell pepper until translucent and fragrant in olive oil then add garlic and sautee until garlic is fragrant and golden. 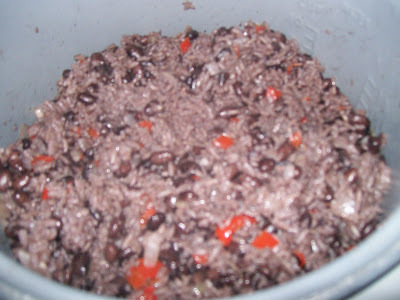 Add to the rice and bean mixture. Season with salt, add cumin and bay leaf. (6)This can be done on stove top to if you know the basics of making rice on stove top. 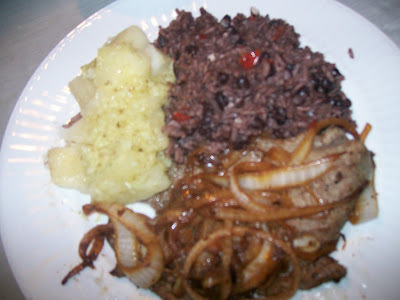 I ate it with "Bistec Encebebollado" and "Yucca Con Mojo"